Dr María P. Neira is a Spanish national who holds a degree in Medicine and Surgery (University of Oviedo, Spain), and a Masters degree in Public Health from the Université Pierre et Marie Curie, in Paris, France. She specialized in Endocrinology and Metabolic Diseases at the Université René Déscartes, then in Nutrition at the Conservatoire National d’Arts et Métiers, both in Paris, and she obtained an International Diploma in Emergency Preparedness and Crisis Management from the University of Geneva, Geneva, Switzerland. Dr Neira is the Director of the Department of Public Health and Environment at the World Health Organization (WHO). Previously, between September 2002 and August 2005, she was President of the Spanish Food Safety Agency and Vice Minister of Health and Consumer Affairs in Spain. Dr Neira was appointed in 1999 as Director of the Department of Control, Prevention and Eradication at WHO. Prior to that, Dr Neira had been working for WHO in Geneva since 1993, as Coordinator of the Global Task Force on Cholera Control. Before joining WHO, Dr Neira worked as Public Health Adviser in the Ministry of Health in Mozambique from 1991 to 1993. Earlier, in Kigali, Rwanda, she was a UN Public Health Advisor/Physician on assignment from the United Nations Development Programme (UNDP). From 1987 to 1989, Dr Neira was in Salvador and Honduras as Medical Coordinator for Médecins sans Frontières. 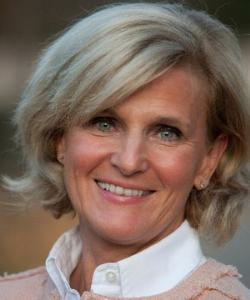 Dr Neira started her professional career with three years in endocrinology and nutrition in the Necker Hospital and Hôpital Saint Louis in Paris from 1984 to 1987. Among other distinctions, Dr Neira has been awarded the Médaille de l’Ordre national du Mérite by the Government of France.